Started in Portland, OR D&L Garage Doors Are Proud The Fix Garage Doors All Over The Pacific Northwest! This is our home as well, We Live here, We work here, We play here! For more than 20 years, D&L Garage Doors Salem has been the most trusted, and most reliable repair company in Oregon. Our quick response times and low prices are at the root of our high success rate. Our customers feel at ease that we take their garage door issues as seriously as they do and do everything we can to repair or replace their garage doors as quickly and as affordable as possible.  D&L Garage Door Repair in Salem! We Are Locally Owned And Operated Fully Licensed Bonded And Insured! D&L Garage Doors Salem A Division Of Doors And Locks Guy Oregon CCB# 194109 . Our locally-owned and operated company works with some of the industry’s top manufacturers and suppliers, allowing us to provide the highest quality of products and services that our customers need at the lowest possible prices. Contact us for more information regarding specific repairs or to have one of our licensed technicians inspect your garage door and present you with the best possible options available to your home. From simple repairs to major replacements, we can do it better than our competitors at a fraction of the cost! And, because we offer 24/7 service there’s no need to call in to work! We’ll head over when it’s convenient FOR YOU! We even offer anextended warranty on our products and services! 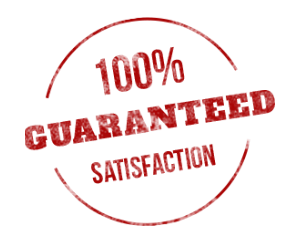 We’re confidence that you’ll be satisfied with your new or like-new garage door! When garage doors do not work properly, the owners of the building get annoyed. This is a common thing because garage doors are heavy in nature and need maintenance. Many companies providing repairing services are available in Salem Oregon. Well known companies offer Garage Door Service in Salem Oregon. The companies are licensed so a person can rely on them. In this busy life schedule people do not get time to take services during day. Most of the time either they are available at night or in the evening. These companies work round the clock to provide exceptional services to the common people. This is the reason why more and more people take their services. Before choosing any service provider, a person should do a thorough research about any company. There would be ample companies that provide Garage Door Spring Repair. A well-known company would be famous and many other people would hire them. Such companies can be easily grasped with the help of the internet. Reading the reviews, ratings would broaden the thinking of customers. Additionally, our technicians go through a highly competitive recruiting process and extensive background check to insure that only the most reliable, customer-friendly, licensed technicians arrive at your home. All of our technicians are licensed, insured, and bonded and come fully stocked with parts. This means we can get your door working TODAY! Staying safe and secure is primary crucial in a person’s life. This is the reason why there are locks for doors. If a burglar attack or theft occurs through the garage, there would be no one to help. These situations can be overcome through certain measure and precautions. One of the main precautions is Garage Door Spring Repair. Repairing the springs of the doors from time to time increases the durability of the doors. Garage doors are heavy so maintenance becomes an issue. Maintenance of garage doors is best done by technicians of a garage repair company. These companies have trained professionals for the job. Experienced companies offer services for more than 10 years which helps in their business and also earning a name. This makes them famous in the city of Salem. Experienced professionals of D&L Garage Doors Salem, OR are able to deal with any issue of a garage door. They would help in troubleshooting the problems. A stuck door can be painful, because many people might get locked inside. A faulty spring, opener, transmitter or roller can lead to a mishap. A trained technician works with an engineering focus to achieve the goals. It would not be a messy situation because these people have knowledge about the type of work. People search for a company which provides warranty. Proper functioning of the door becomes necessary. Whenever it shows defects, the technicians should be able to give free services. Analysing the matter and conducting few tests on the door is done by technicians. After that they start their work. Warranty can be for 6 months or 1 year as per the terms and conditions of the company. This is the certificate which becomes crucial whenever the door jams. Garage Door Service in Salem, also provides a scrutiny session after repairing garage door. This is done to ensure whether hinges or locks are properly attached. Customers experience warranties where discounts and offers are given. Valuable customers are provided a discount on the total value of work.